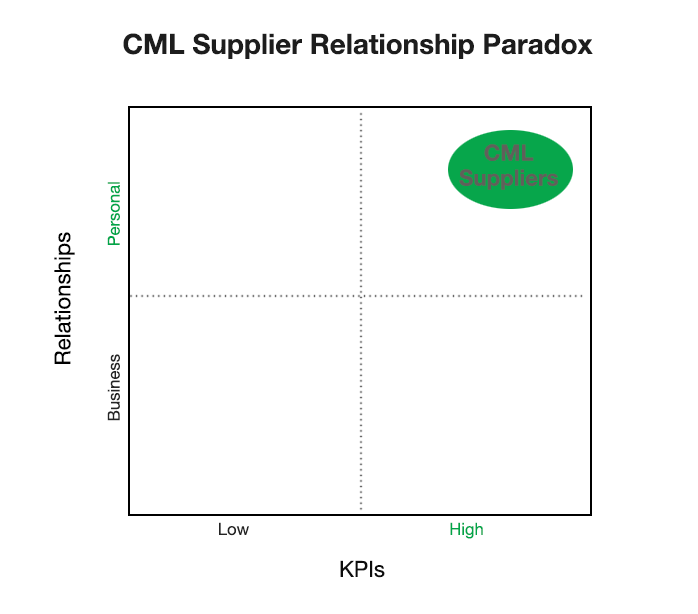 What do we mean by CML Supplier Relationship Paradox? In general, a paradox is seen as something self–contradictory, two tendencies which can’t work hand in hand. Many people in organizations tend to make a decision in one direction and give less importance to the other. In the PCB industry, many believe that you can only achieve your KPIs based on a business relationship without personal rapport. However, we studied this phoneme and discovered that we do not have to choose one over the other – in order to achieve the best results for all stakeholders. With backbone and heart, it is possible to combine the advantages of each behavior to come to a more complete result with long–term benefits. At CML, we believe that a good relationship with our suppliers is vital for sustainable success and opportunities. KPIs are only a part of our SCM, we also focus on fostering trust and nurturing the relationship with our suppliers. Apart from our ever increasing roster of suppliers, our very first partners are still our suppliers to this day. With our unique relationship achieved via a solid foundation of trust brings operational excellence throughout all levels of the supply chain. Our harmonious relationship from the operational level – right up to the top management level makes our collaboration more efficient and effective. This also eliminates unnecessary workload and helps resolve challenging situations in a harmonious way.